Sharing within Google Apps was primarily designed for sharing with a small number of users. However, as Google Apps has expanded into schools and business, the sharing features cannot easily handle large groups of users by default. To accommodate sharing and collaborating with large groups of users, apps such as Google Contacts and Google Groups can provide functions similar to user groups in active directory and Microsoft SharePoint to manage sharing with large groups easier. Read on to learn how to use these tools to collaborate effectively with Google Apps. 2.2.4 Deleting a User from a Google Group. 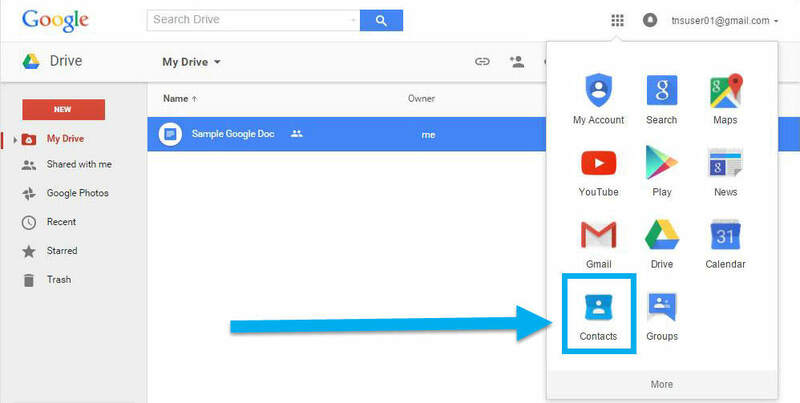 Sharing within Google Apps such as Google Drive require adding emails one by one in the sharing settings. 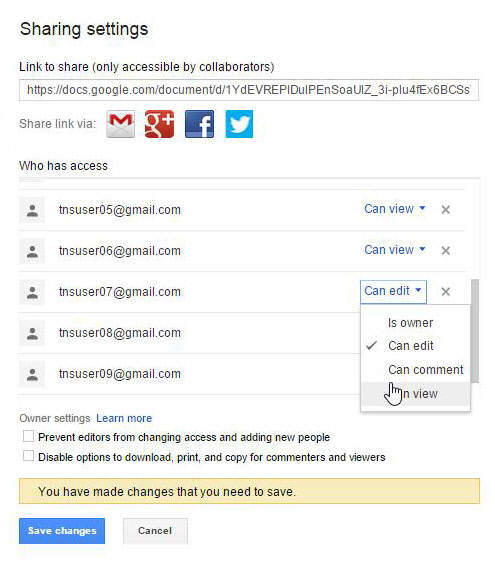 Furthermore, if the sharing permissions change, it must be changed for each individual email in the sharing settings. Both of these activities are extremely time consuming when dealing with a large group of users (more than fifty users). 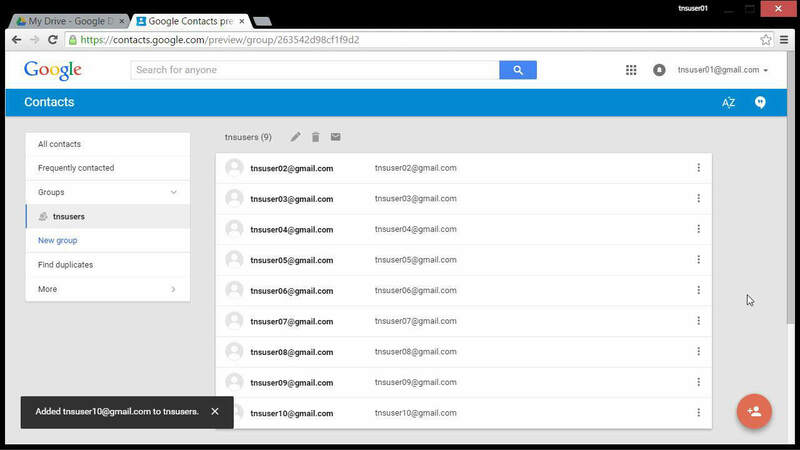 In Google Contacts, contact groups can be identified by the names of the groups. Email fields will include contact group names in the auto-fill in addition to individual emails. In the app launcher, launch the Contacts app. NOTE: If the Contacts app is not visible, click on the “More” at the bottom of the menu. If Contacts is still not visible, simply open a new tab or window and type “contacts.google.com” in the web address field. To create a new group, click on “Groups” in the left sidebar (A) and then click on the “New group” link (B). A pop-up will appear with a field to enter a name for the group (C) and then click the “Create group” button (D). This name will be used to identify the group within sharing settings. Add a user to the group by clicking on the red “Add person” button (A). Enter the email of the user in the pop-up (B) and click the “Create” button (C). NOTE: The screenshots use the new Contacts app with material design. At the time of writing, this interface is new and may not look exactly like what other current users see in the Contacts app. In the share settings, type in the name of the group and select it from the auto-fill. All emails from the contact group will then appear in the add user field. 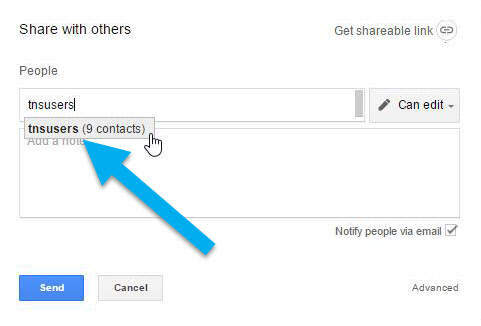 While quick and easy, using Google Contacts to add large groups of users within the sharing settings has a few limitations. Contact groups hold up to 200 contacts and changing permissions in sharing settings still required changing the permission for each individual user. Both of these limitations do not appear in the following method. Google groups was originally designed as a discussion group or forum web app. It’s features have since expanded to allow easier collaboration for large groups of users. 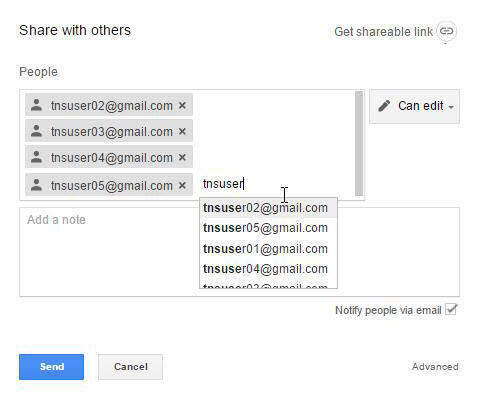 The difference between using a Contact group and a Google Group is that a Google Group has a unique email address that can be used to manage the sharing permissions with all users within the group. Therefore, instead of managing hundreds of share settings for hundreds of users, you can only manage a few share settings for the same number of users. If you are using a personal Gmail account (email addresses ending with an @gmail.com email address), many steps will include captchas at the end of the steps. These captchas have been omitted from the following steps. In the App Launcher, launch the Groups app. NOTE: Similar to the Contacts app, if it does not appear in the App Launcher (or its more section), simply open a new tab or window and type “groups.google.com” in the address field. Create a group by clicking on the “Create Group” button. Name the new Group (A), change the unique email address if needed (B), add a Group description (C) and then click the “Create” button (D) at the top menu of the page. NOTE: Use the default “Group Type” as email list. Other options include “web forum,” “Q & A forum,” and “Collaborative Inbox,” which add additional features to the discussion board feature of Google Groups. 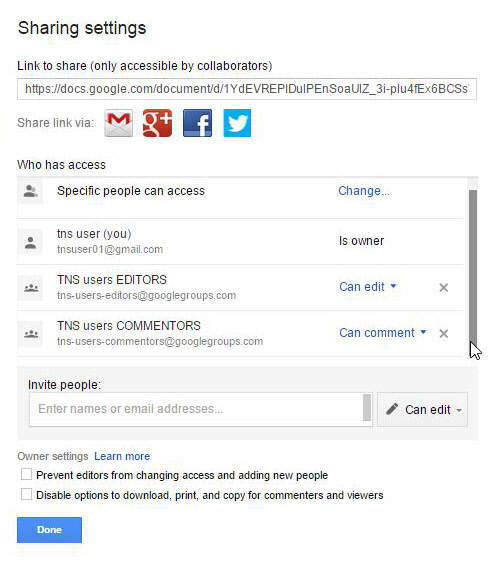 Since this article is using the Google Groups exclusively to manage permissions, these additional options will not be explored in this article. NOTE: Once the group is created a large yellow box will ask for you to update your profile within the group. This pop-up will only appear once. Click on the “Manage” link in the menu. Click on the “Direct add members” in the left sidebar. NOTE: a warning may appear to not abuse this feature as it can result in being banned from using this app. Separated with commas, add the email address of each user (A). Write a message that will appear in the notification email automatically sent to the recipients (B). An optional setting is to change the “Email subscription options” to “No email” so that the group is exclusively used for managing permissions (C). Click the “Add” button when complete (D). 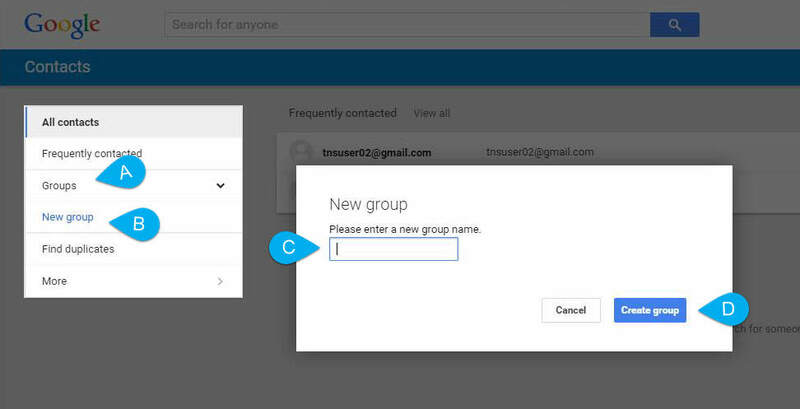 NOTE: While contact group titles will appear in the auto-fill when adding users to this Group, do not select them because the contact group will add the emails in a format that is not compatible with Google Groups. If there are no issues, there will be a page confirming that the users have been added to the group as well as a “Done” button to complete the manual addition of users to this Group. 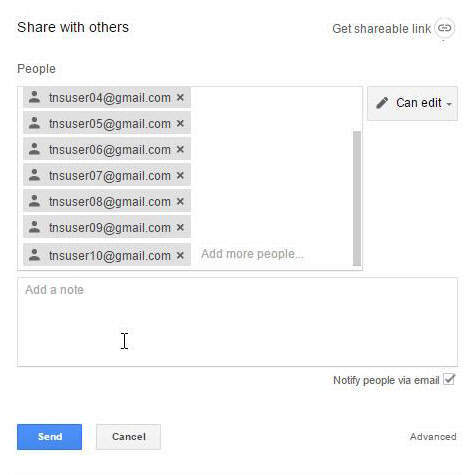 In the Sharing Settings of the file in Google Drive, add the unique email address of the Google Group in the same way you would add an individual’s email address. All users within the Group will be able to edit this file. Changing the permissions for the entire group is as simple as changing the permission of the single Google Group email address. 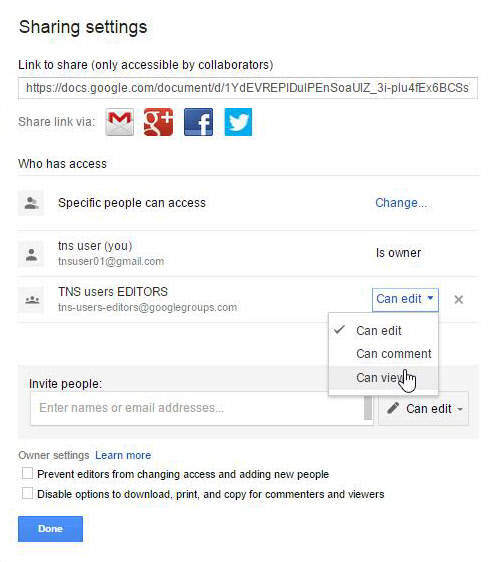 Create several Google Groups that represent the various permission levels of the Google Drive sharing settings. To change the permissions for a user on a file or folder, simply delete the email address from the current Google Group permission level and add the user to the new Google Group. 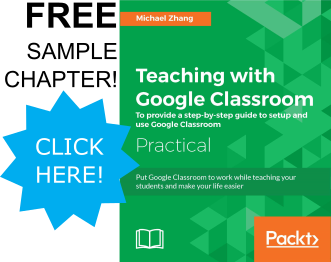 Plan extensively the number of Google Groups needed for a given environment and map where they will appear within the Google Apps framework. The more planning done before the Groups are made, the less time tweaking and fixing will be needed after the system is operational. Deleting a User from a Google Group. 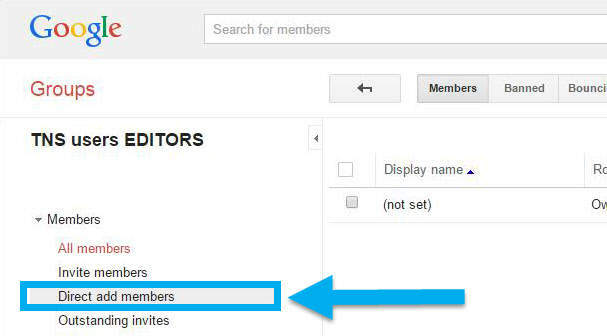 In Google Groups, navigate to the manage page of the Google Group. Check the users to be removed (A). Then click on the “Actions” button (B) and select “Remove from group” (C). 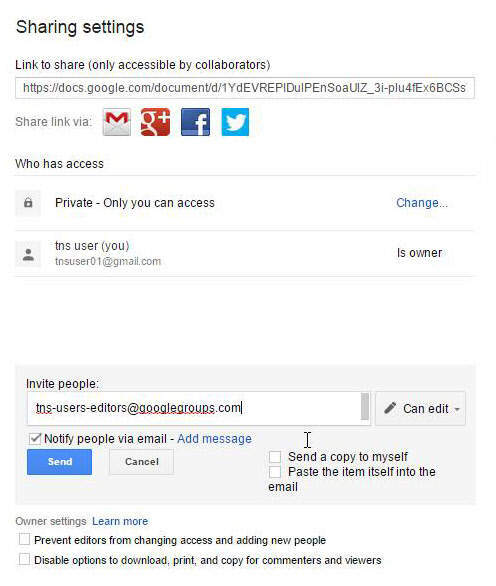 Using Google Groups to manage sharing is not limited to Google Drive. Calendars within Google Calendars and websites within Google Sites can all use the same (or different) Google Groups to manage the permission levels. The following image shows using the same Google Groups created above to separate permissions on a Google Calendar. 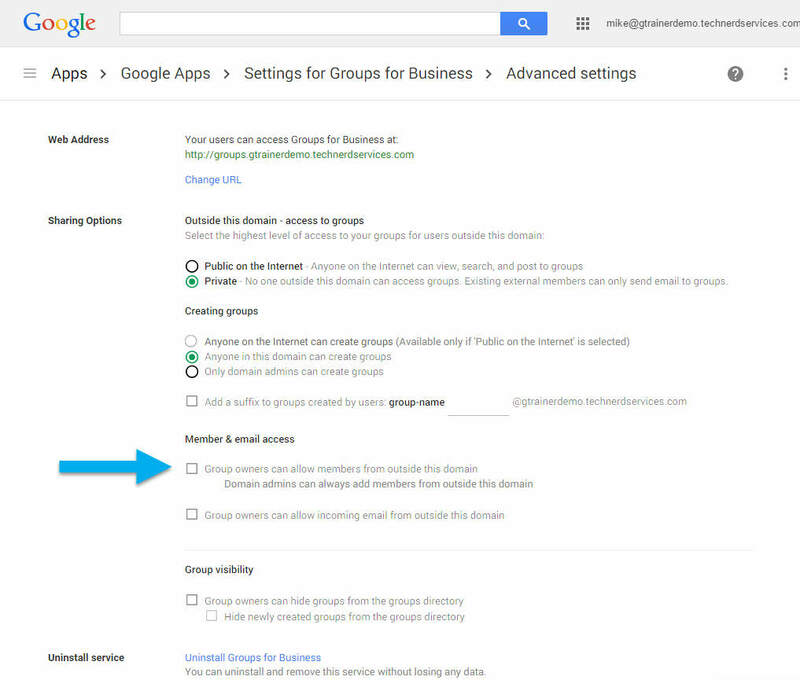 Google Groups for Business is part of Google Apps for Work and Google Apps for Education systems. In addition to adding additional centralized IT settings, the unique email address of the Google Groups match that of the domain associated with the Google Apps system. In our rush to get more things done in less time, Google Groups can help manage online collaboration and information distribution within Google Apps. However, like any potentially time-saving tool, when used improperly, can increase complexity and time spent fixing and adjusting the tool. Therefore, spend a significant amount of time at the beginning of planning to identify the different Google Groups needed in a given environment and map out each location. Especially when dealing with large groups of users, a single mistake can cost hours of work to fix.